Our first flight was a short domestic flight on American Airlines’ new 737. In Flight Entertainment (IFE) was from a personal screen, and the seats and cabin were tastefully aligned with american’s 777-300ERs. 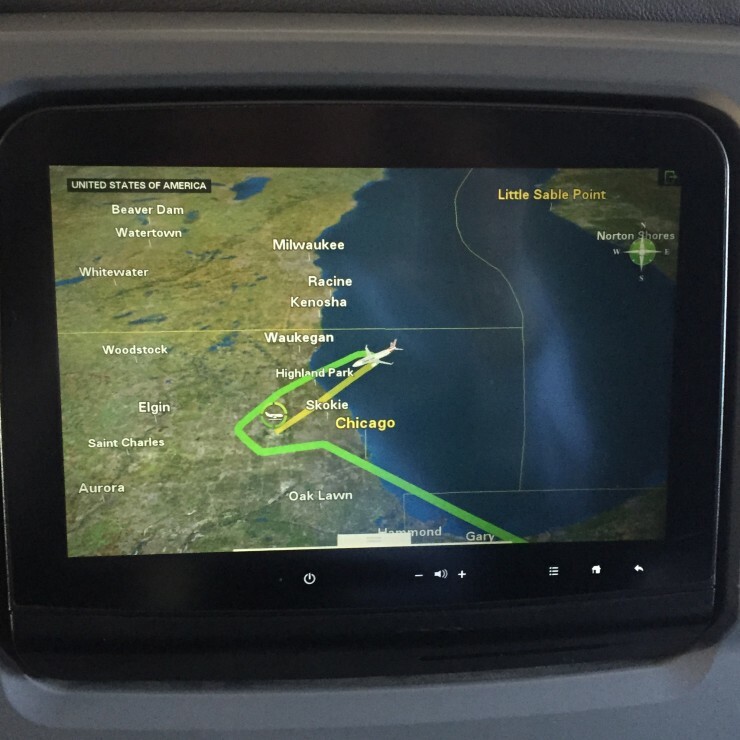 We had a brief delay, due to wind restrictions, and were on our way to Chicago. Since this was a domestic flight, I won’t spend too much time on it. Breakfast was either steal-cut oats or an egg omelet. 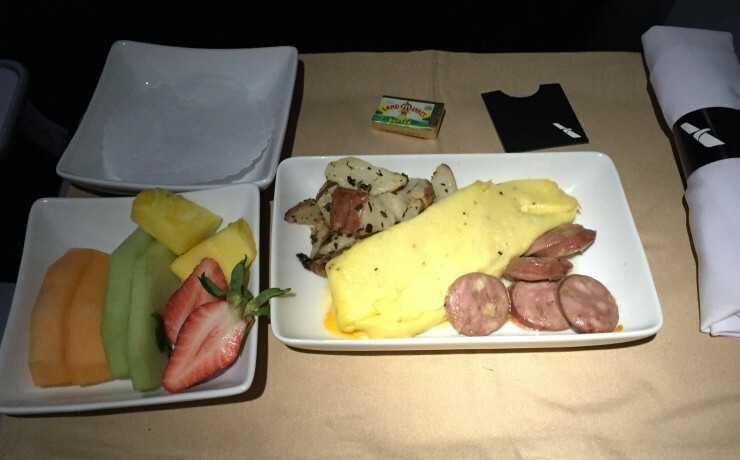 I had the oatmeal, my wife had the omelet and said it was one of the best she’s had on a domestic flight. 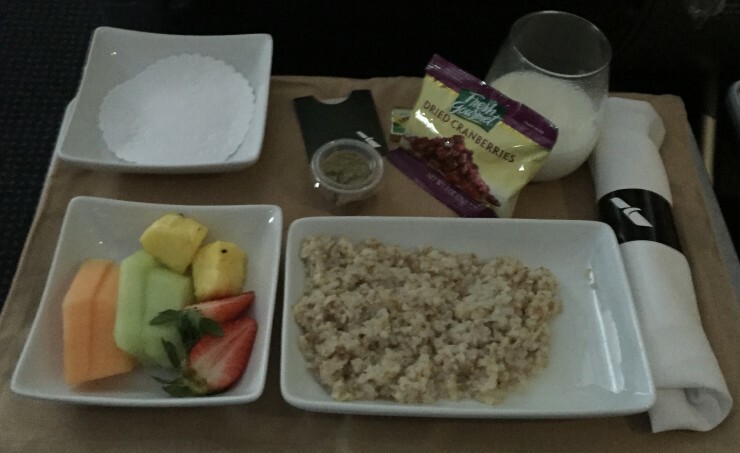 I enjoyed my oatmeal, but for me the true value of the flight was Eric, the purser. We had the chance to chat with him, despite his appearance, he was pretty senior. He had been very senior in New York, but moved to base out of Dallas for a change, and because it was easier to get to from his home in Atlanta. He was a trainer as well, and by all accounts, everything he did showed that this was the man that should be training all American Airlines flight attendants. Our flight was short, but I have to say, it had a lasting impact, and I said as much to American Airlines via their twitter team in a direct message. I never know the impact that these messages have, but I really do hope that these folks get the recognition they deserve. We landed in H terminal, and had a short walk to K terminal. It’s a nice feature that I’ve noticed in Chicago, even with our ANA Flight just over a year ago, where the flight inbound arrives into Terminal 5 (the international terminal), but then is moved to the terminal of the partner (e.g. K terminal for American). This means that connecting passengers don’t have to go landside and clear security again. 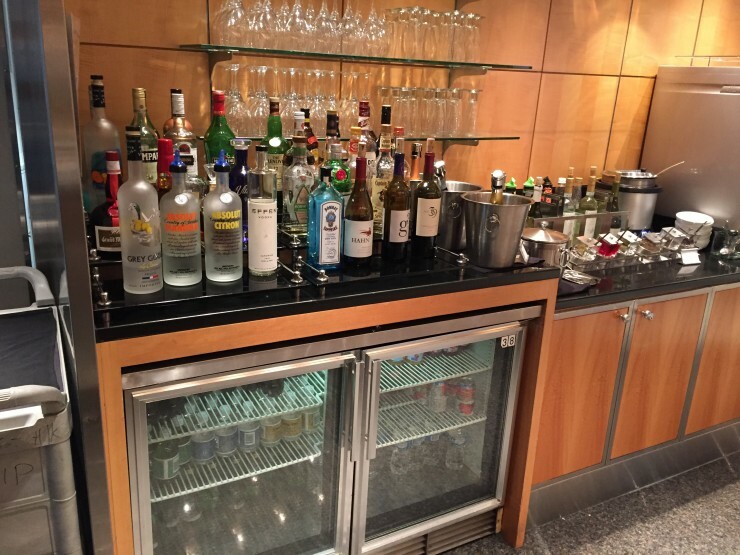 It’s a huge benefit, in my opinion, and actually allowed my wife and I to visit the lounge. All that said, the lounge was nothing terribly special, but it was a place to grab a seat, a beverage, and connect to wifi to catch up on e-mail. Further, Paula was quite good upon check-in, she took the time to point out the amenities, and when we left, she made it a point to wish us well on our flight, remembering our names. These are small things, but they do not go un-noticed. What also did not go un-noticed, was the fact that the announcement for the flight was something like “Japan Airlines 9 will be boarding in 3 minutes,” not 5, 3. That is precision, and that is awesome. 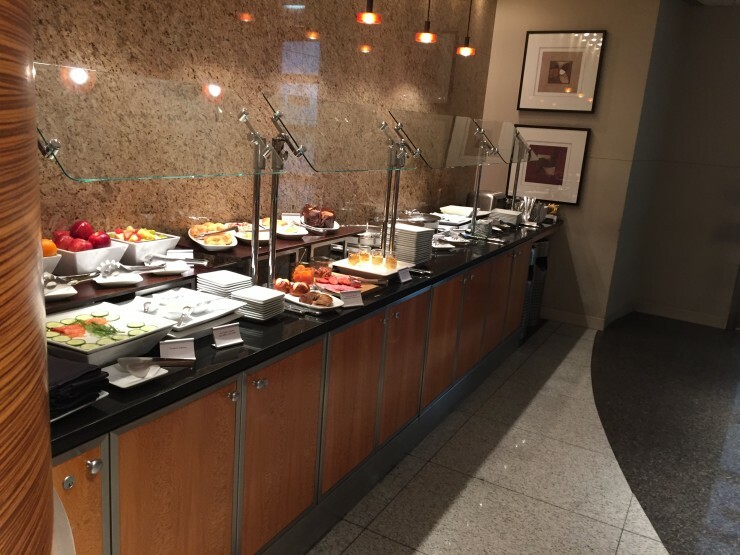 Needless to say, we departed the lounge and made the few steps to board the plane just about when they made the announcement.